Now is the time for our President, our country, and the international community to match strong words with decisive action. Now is the time for the President to work with Russia, China, and members of the Arab League to compel Sudan to accept a UN peacekeeping force. 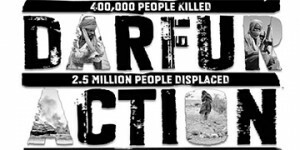 Now is the time to impose a NATO-led no-fly zone over the Darfur region, expand sanctions on Sudanese government officials, freeze Sudan’s assets abroad, and block its oil exports. If these measures do not make it possible to quickly deploy a UN force and halt the genocide, a NATO-led intervention must be seriously considered. Now is the time for leadership and bold action.